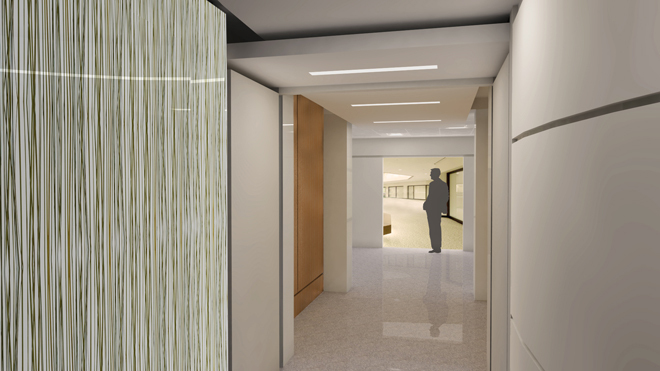 YHLA worked closely with the building manager and owners at 1000 Broadway in Oakland to develop cost-effective options for the design of a secondary building entry. 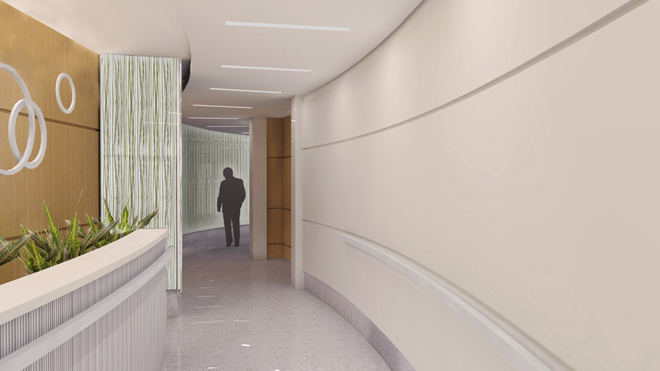 The entrance and small lobby, along with a curved, back-lit glass, passageway leading to the main building lobby and elevator banks. 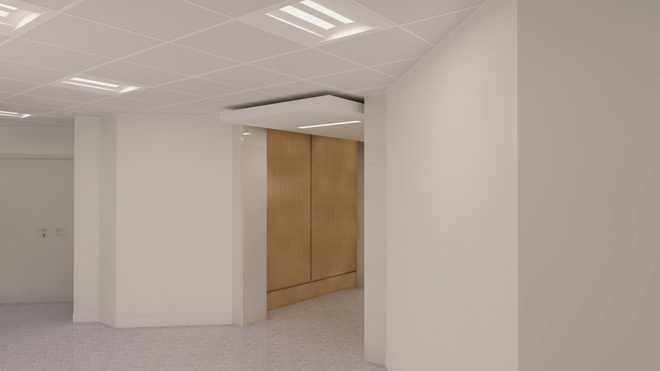 This new entrance will provide tenants with convenient egress and card-key access to the building from the street opposite the main building entry, and the relatively narrow passage between lobbies provides a sinuous and well illuminated transition. 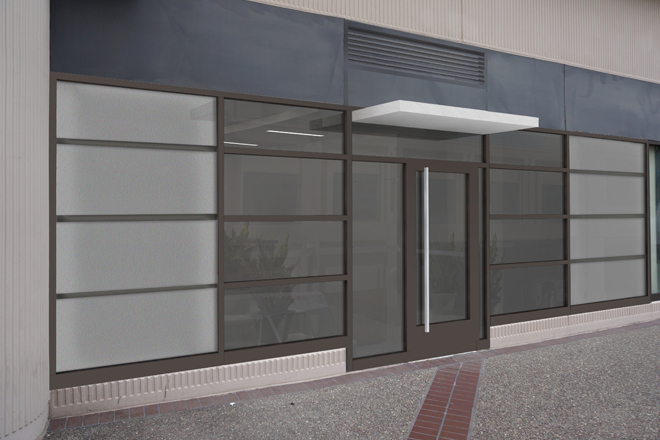 The new lobby was designed to be easily expanded in the future should the need arise for this to become a public entrance with a guard station.